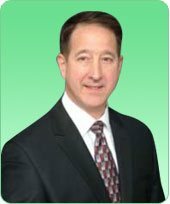 Dr. Mark Pisano is a licensed psychological associate serving clients in the Piedmont and Coastal Regions of NC. He earned a B.A. in Psychology from Clemson University, a M.A. and C.A.S. in School Psychology from Western Carolina University and an Ed.D. in Education from Campbell University. ACS is a testing and consulting practice serving adults and children. Testing for ADHD and learning disabilities make up the majority of referrals; however, various tests and checklists are available to explore most concerns.